I know that I am blessed to be serving as Olympic attaché for Togo in the Olympic Village. With 207 countries and 11,258 competitors plus 3490 officials, that makes 14,748 (if I have counted right) which comprise the potential residents of the Olympic Village. In reality rowers are often based at the lake, some come late, other leave early. With the athletics programme starting a week after the Opening Ceremony, many athletes were still in training camps on ceremony day, arriving only this week. 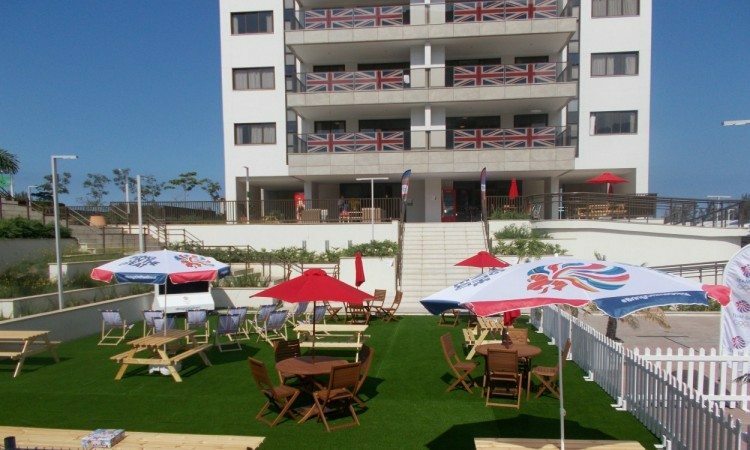 So what is the Olympic Village like? With some 10,000 people it is really a small and quite self-contained town. Teams are housed in about 25 tower blocks, which are traditionally decorated on the outside in the colours of the country. The dining room is massive, seating about 5000. It is a self-service restaurant offering food 24/7 and catering for people from 207 countries with their different tastes, preferences and dietary requirements. All the food is free to residents. Fast food it is not! There is a polyclinic, which brings together a range of health professionals and medical services for the residents of the village. All the larger teams will have their own team doctor and physios. There is a fitness centre which, like the restaurant, is open 24/7 and always well used, a tennis court, a recreation area, a bank, post-office, internet café and more. There is a surreal feel to the place. You walk around the village and past the tennis court and there is Novak Djokovic hitting with Boris Becker. The South African golf team is managed by Gary Player who is very visible in the village. As I write this in the open-air restaurant, a group of Kenyan distance runners are putting in the miles round the village roads. 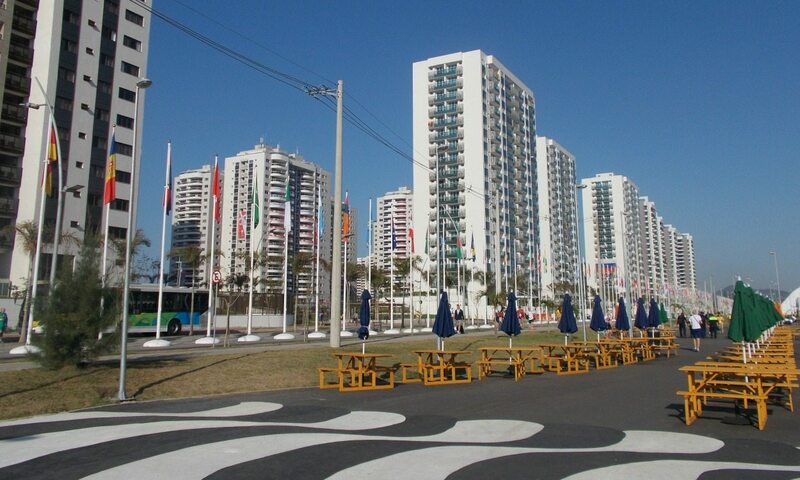 There are buses to take athletes around the village – it can be quite a walk from one end to the other. Some teams have brought their own bicycles to get around. There are other buses to take athletes to training venues and also to competition. It all runs like clockwork. For athletes who are used to competing in single sport IAAF World Championships and competitions such as the Diamond League meetings, to be part of a multi-sport team in such a big event is an exciting experience. To be able to call yourself an Olympian for the rest of your life, a real privilege. Everyone in the village is in team uniform so that you can tell at a glance where anyone is from. Incidentally the largest team is USA with 560 competitors. Tuvalu has only 1!